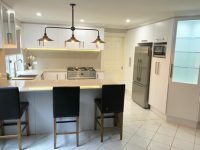 Master Bathrooms & Kitchens is a family owned and operated bathroom renovation and kitchen renovation company based in Castle Hill, Sydney. 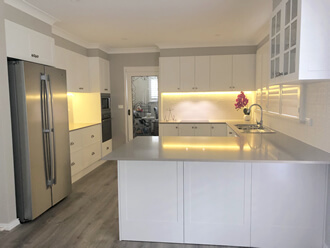 Established in 1995, we have been performing bathroom and kitchen renovations in the Hills District, Hornsby and North Shore areas for over 24 years. 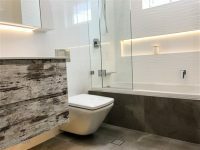 We at Master Bathrooms & Kitchens pride ourselves on our good reputation as bathroom and kitchen renovation experts and offer valuable renovation advice and expertise that only comes with years of experience. Redesigning and renovating bathrooms and kitchens requires expert knowledge. It is imperative to call in only licensed, reputable professionals. Master Bathrooms & Kitchens is fully licensed and insured for Public Liability, Workers Compensation and are eligible for Home Owners Warranty, so we have you covered. We believe in providing the highest standard of work at an honest price and all our workmanship carries a 7 year guarantee. 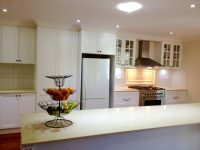 We offer a full service from measure and quotation, design and plan, assisting with selections, right through to supply and renovation. We also custom build vanities and mirrored wall cabinets. This complete service guarantees we build a bathroom or kitchen that is perfectly suited to your individual style, everyday requirements and budget. 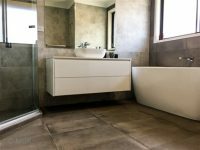 Whether you purchase your tiles, PC items or appliances through our suppliers or buy elsewhere, we will guide you with your selections to ensure your renovation is to plan and results in a beautiful, perfectly functional bathroom and kitchen. The key to a good renovation is in the finer details. We are passionate about our business and take great care and pride in our work. Our team of highly skilled tradesmen and suppliers have been working together for over 24 years. Throughout this time we have created a system that is tried and true and use only quality products and materials, ensuring a perfect job, done on time and to budget. We renovate all kinds of bathrooms, laundries and kitchens. From traditional to contemporary, from budget to luxury. No matter the size or budget of your renovation, we consider every job regardless of how large or small, our top priority. 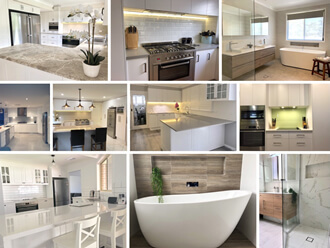 So when considering your bathroom or kitchen renovation, call us on (02)9899-9330 today! Really happy with our bathroom renovation. Fred is so accommodating & easy to deal with, and he has a great team of tradesmen working for him. Thanks Master Bathrooms! A truly professional team and a great experience for us from start to finish. Fred and his team did an outstanding job creating our new kitchen and bathrooms and truly exceeded our expectations. Highly recommended! Fred and the team were thoroughly professional, punctual, pleasant and helpful. Turned up when they said they would and went to great lengths to make sure we were happy with the job. Also took great care of our walls, stairs etc to ensure no damage was done. Would use again and would thoroughly recommend. To say we’re absolutely thrilled with our new master bathroom and ensuite would be an understatement! 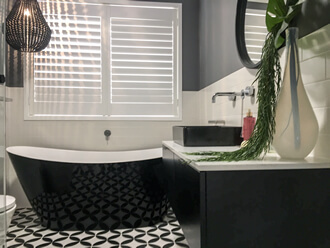 Thank you so much to Fred and your wonderful team of highly skilled professionals for giving us two beautiful bathrooms that we love and look forward to using each day! It was a pleasure working with you. We could not recommend you highly enough! It was a very good experience and everything went as planned!!! Just finished renovating our bathroom, laundry and Kitchen. So happy with this company. Very professional from start to finish. Would definitely recommend them. Hi Fred, Thank you so much to you and your wonderful team of guys who have worked on our main bathroom over the last two weeks. It is looking fantastic (better than we imagined for such a small bathroom! ), and we are most impressed with the workmanship and professionalism of all your trades. A job very well done! Bill and I are thrilled with our en-suite. It looks SO much larger, lighter and of course, very smart. A HUGE thank you to yourself and ALL members of your great team. Without exception, all were extremely polite and helpful.